In late 1510, Katharine of Aragon, Queen of England entered the confinement customary before the birth of a child. The rules of conduct for pregnant queens had been laid down by her grandmother-in-law, Margaret Beaufort, Countess of Richmond and were designed both to draw attention to the importance of the supreme dynastic act of childbirth, and also to reflect the best medical advice available. This was Katharine's second pregnancy. The first, in 1510, had ended in stillbirth, possibly of twins some weeks or months apart. However this second pregnancy seemed to have gone like clockwork. The Queen was reported to be in good health, and she "took her chamber" in good time. On 1 st January 1511 the Court erupted into celebration. Katharine had delivered a live baby boy. She and Henry were jubilant – the Tudor dynasty was assured for another generation. The baby appeared strong enough for the christening to be deferred to the 5 th of the month – sickly babies were usually baptised immediately. The baby was named Henry, and had the title of Duke of Cornwall from birth. The godparents were King Louis XII of France (represented by the Bishop of Winchester), William Warham, Archbishop of Canterbury and Lord Chancellor, and Marguerite of Austria, Regent of the Netherlands and Katharine's sister-in-law (represented by Agnes Tilney, Countess of Surrey). Depiction of Henry VIII as Sir Loyal Heart. Henry celebrated by putting on the most splendid joust of his whole reign. 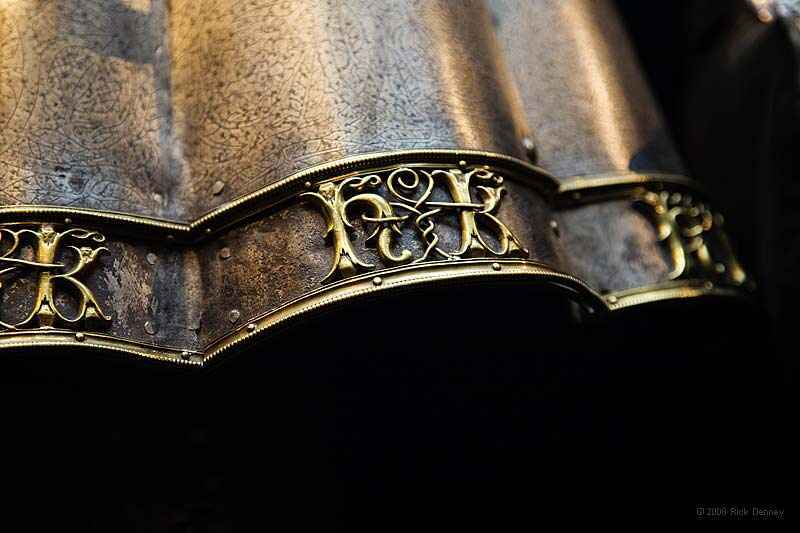 Dressed in Katharine's colours, with H & K on his armour, he tilted under the name of Sir Loyal Heart. Unfortunately, celebrations were premature. The New Year's boy, as he was called, died aged only 52 days old. Henry and Katharine were distraught. The little boy was given a state funeral, and buried at the foot of his grandparents in Henry VII's Chapel at Westminster Abbey.